Nate leads a team of nonprofit professionals who serve as Jumpstart's Senior Impact Advisors, who are charged with coordinating local, state, and regional resources designed to help nonprofits build fundraising capacity. He also works directly with community, corporate, public, private, and family foundations in all regions of the United States. 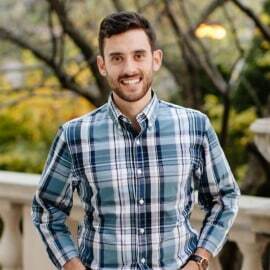 Since beginning work in professional fundraising, Nate has helped more than 500 small, emerging nonprofits - primarily with annual budgets ranging from $100K to $3MM - address their most pressing fundraising challenges, including strategies for donor acquisition, retention, major gifts, board engagement, and grant writing. As a Millennial who has dedicated his career to the fundraising professional, he is a sought-after speaker and workshop leader, helping Generation X and Baby Boomer fundraisers and grantmakers understand digital, social, online/on-land multi-channel fundraising.